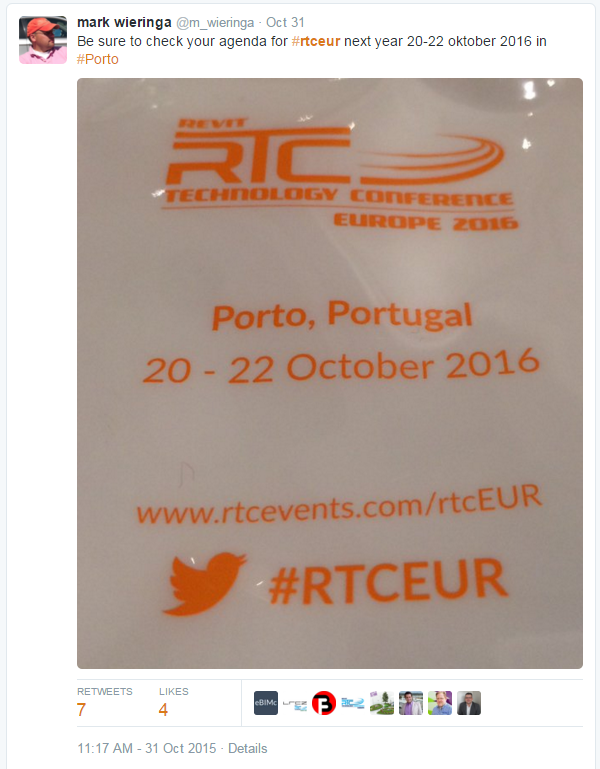 One of the things I love about RTC events is the community, and their love of Twitter. 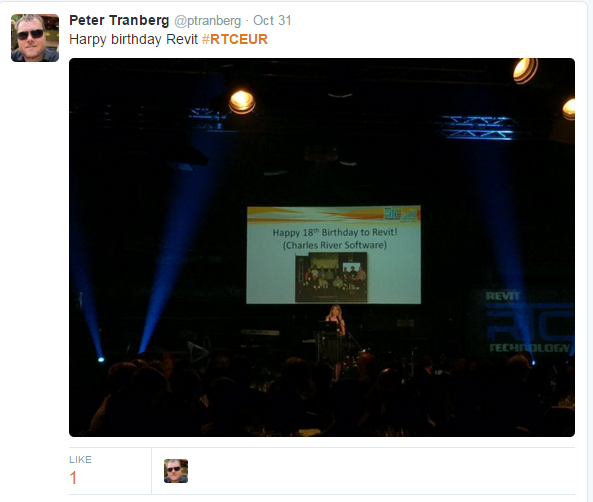 Even if you are’t at the event you feel like you’re there because of the play-by-play you get on Twitter. 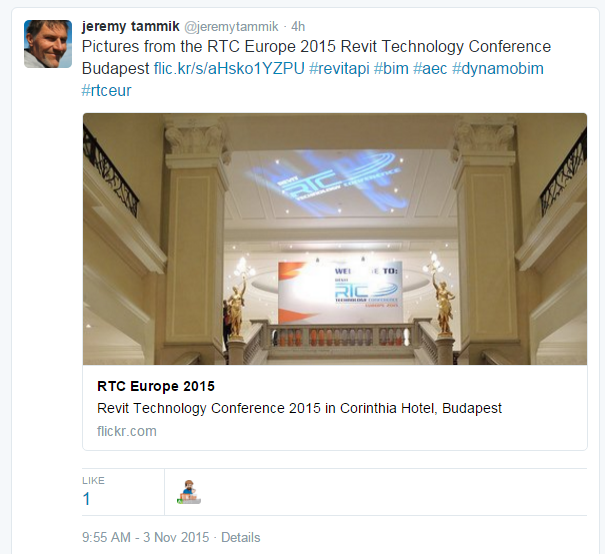 In honor of this I have put together my Top 11 Tweets and Twitter Threads from RTCEUR 2015. 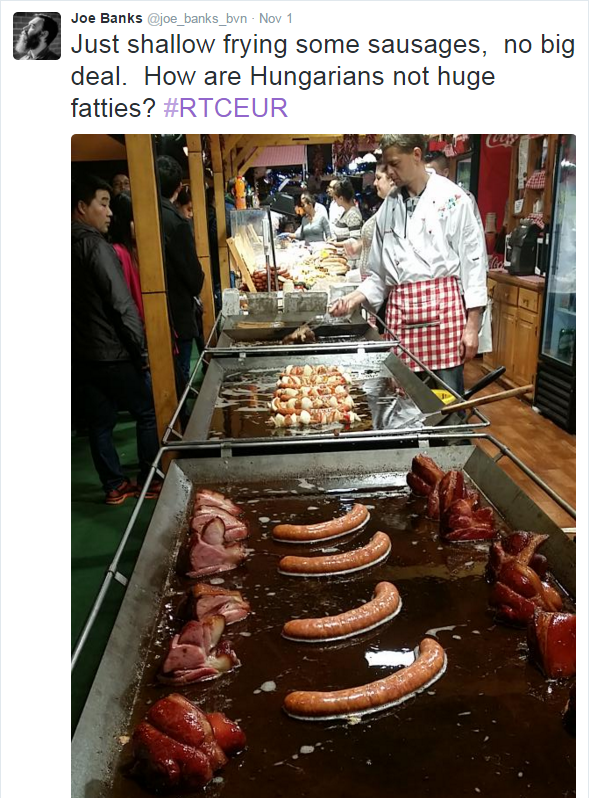 #10a Lets talk abut some of the Hungarian foods we ate lots of, it tasted good but maybe no so good for us. 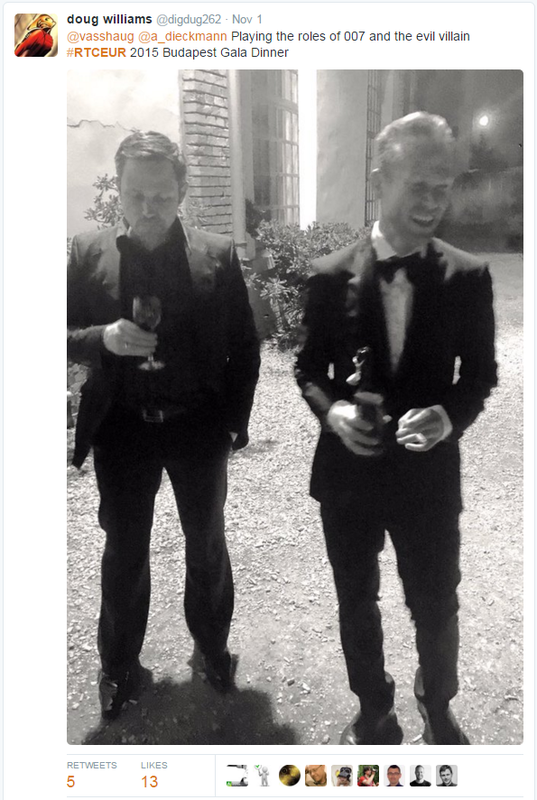 This tweet was from Joe Banks. #10b Joe Banks who was also the Pecha Kucha Champ! 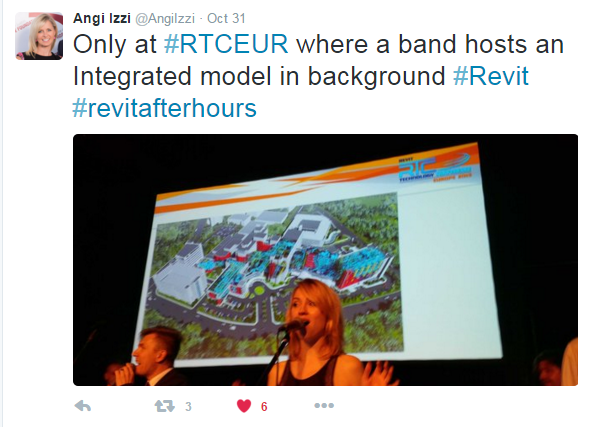 #8a now this tweet was about RTCEUR (or actually about missing it) but it does have a BIM Unicorn in it! 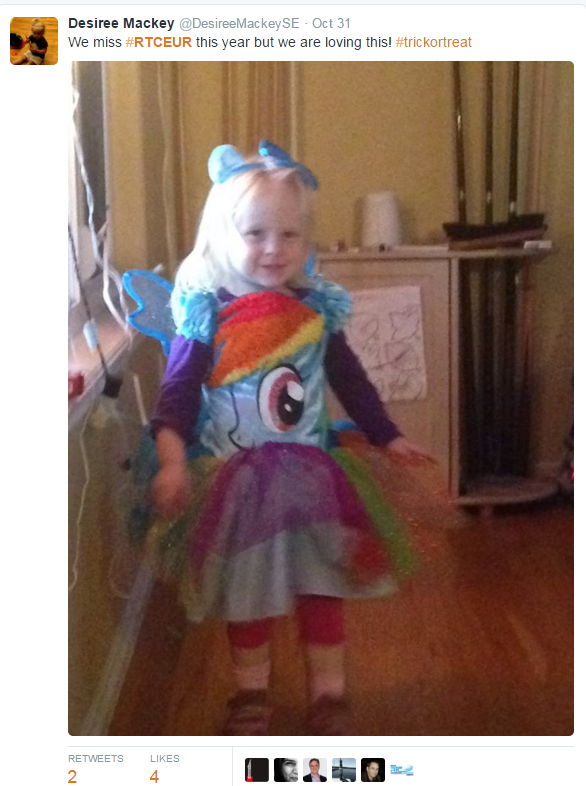 Tweet by Desiree Mackey. 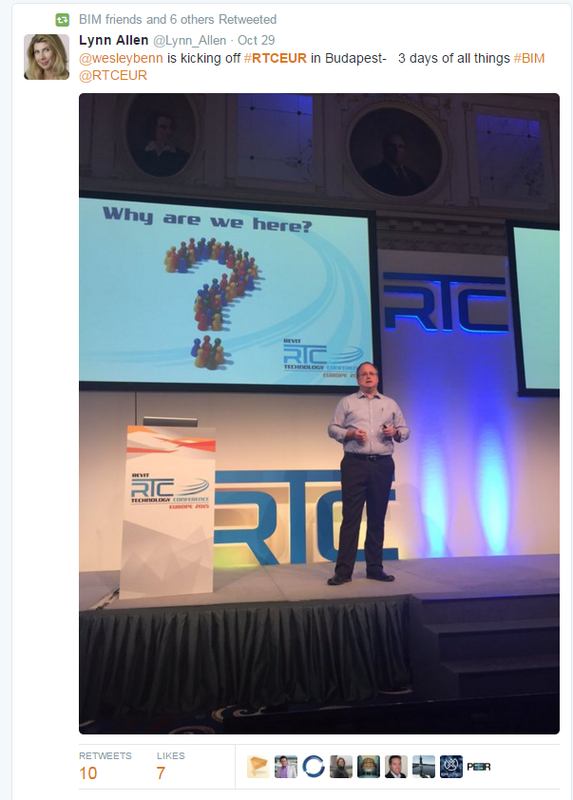 #8b Others who couldn’t attend RTCEUR wanted to attend via all the RTCEUR Tweets, Jim Balding said it best. 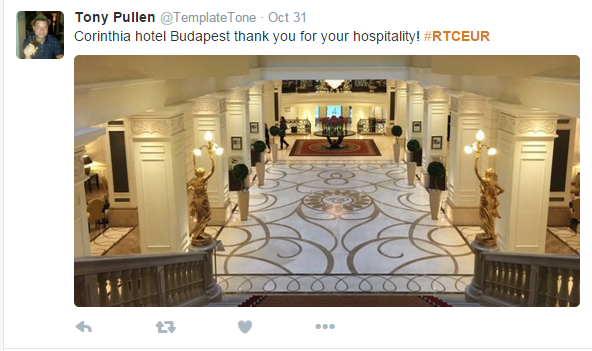 #7 I think that everyone that attended RTCEUR and stayed at the Corinthia Hotel will agree with this tweet by Tony Pullen. 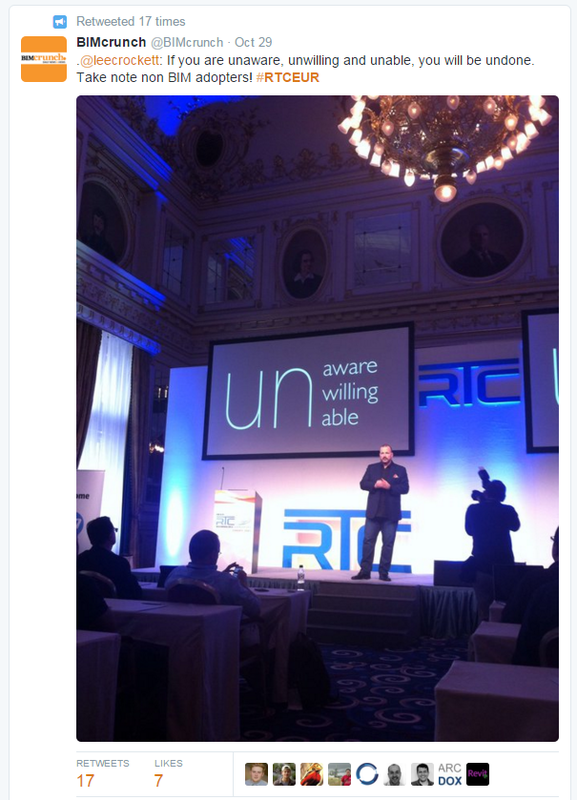 #6b From the Keynote address given by Lee Crocket, Tweeted by BIMcrunch. 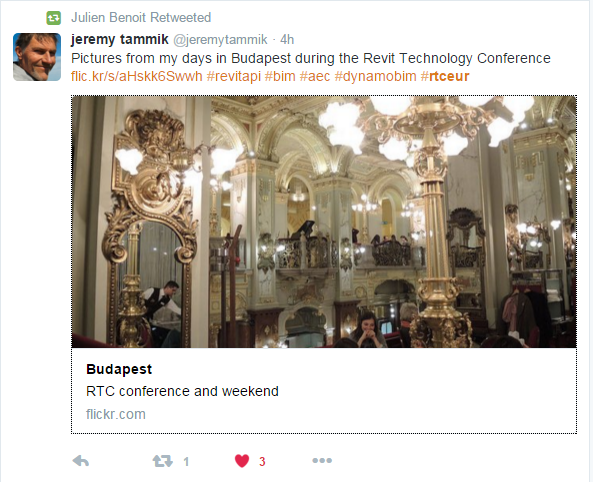 #5b Great Quotes from 2 of my RTCEUR Classes, one by Havard Vasshaug and the other by landarchBIM. 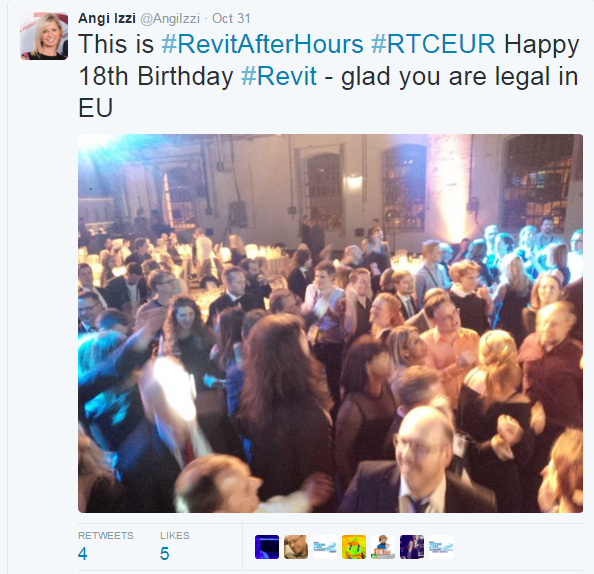 #4b But really who doesn’t love Revit…….for sure not a busload of people leave a RTC Gala Dinner event after 1 or 12 adult beverages!! 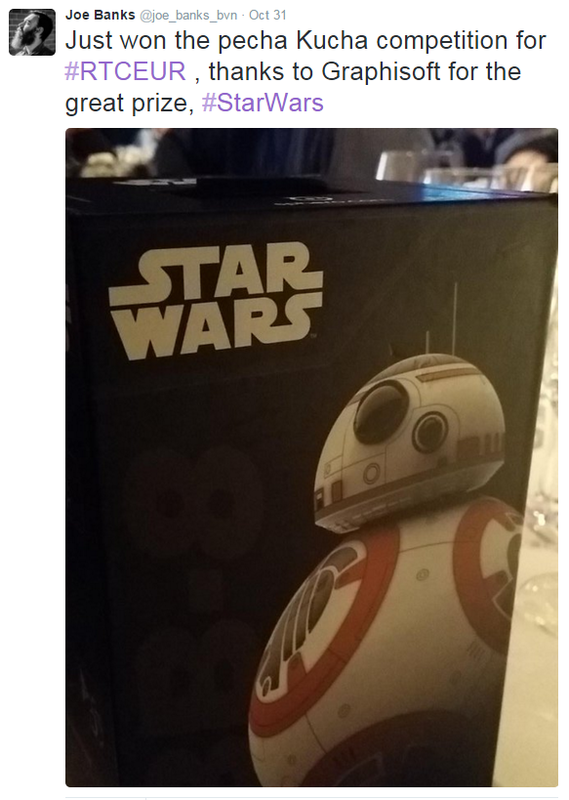 Tweet by Aaron Perry. #2 I believe the best “caption this” caption would be: Whoever smelt it Dealt it! 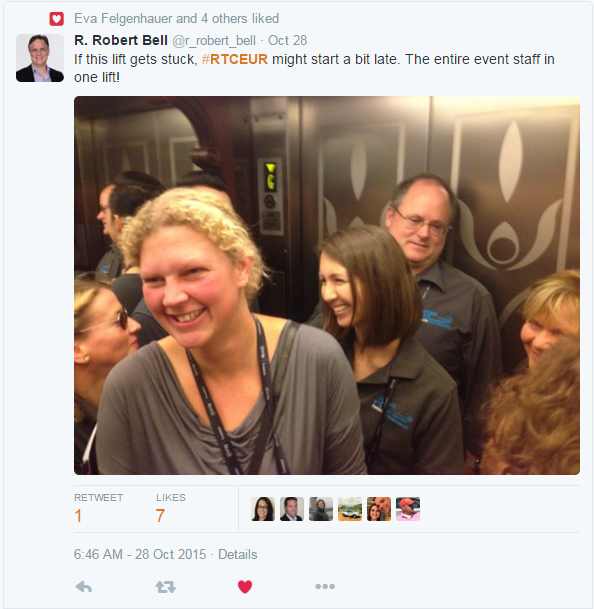 Tweeted by R. Robert Bell. 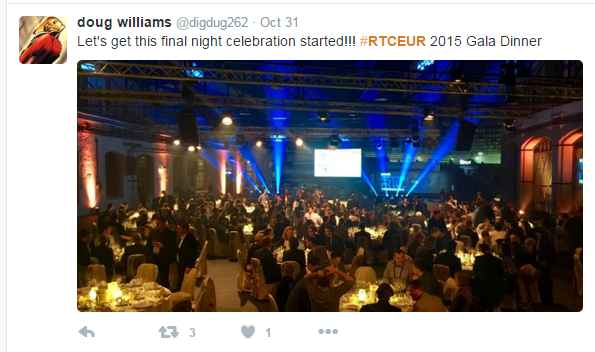 #1 Doing it all again next year in Portugal for RTCEUR 2016! 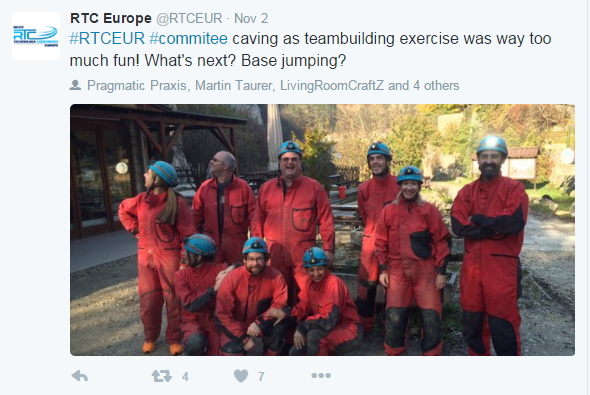 Tweet by Mark Wieringa. Of course this list is very subjective, and really could have easily been the top 50 tweets. 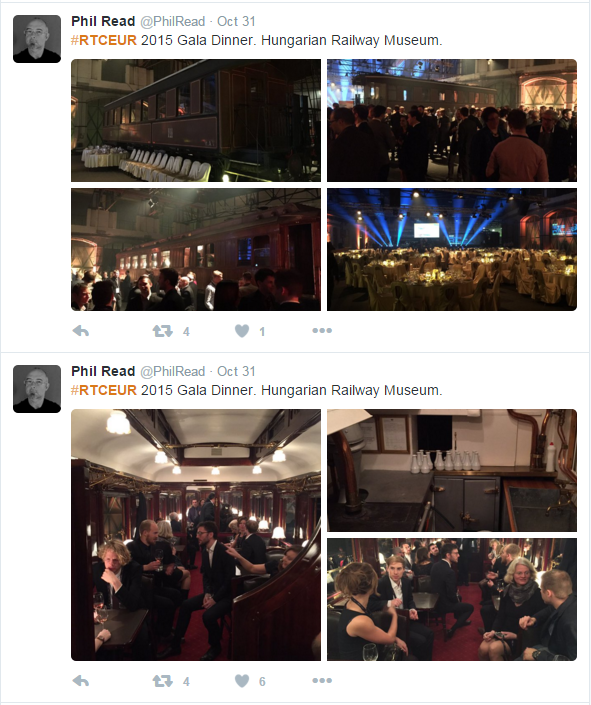 Why don’t you take a look at the #RTCEUR search and find your own Top 10…..or 50 if you prefer!